Headquarters for the largest network of water flumes and ditches in the state. 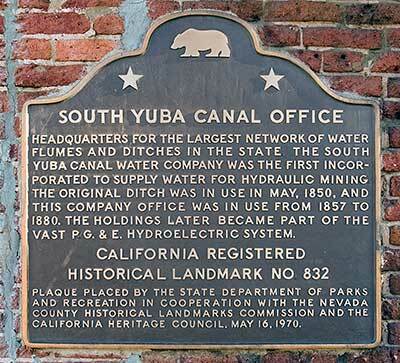 The South Yuba Canal Water Company was the first incorporated to supply water for hydraulic mining. 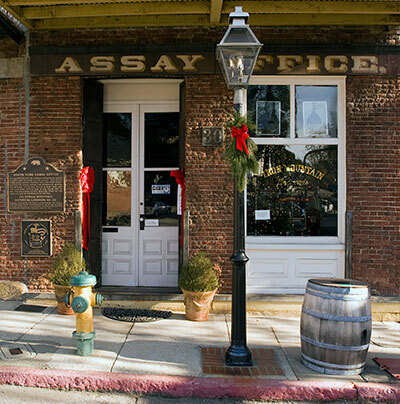 The original ditch was in use in May, 1850, and this company office was in use from 1857 to 1880. The holdings later became part of the vast P. G. & E. hydroelectric system. 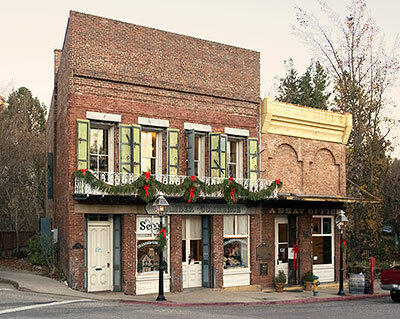 Plaque placed by the State Department of Parks and Recreation in cooperation with the Nevada County Historical Landmarks Commission and the California Heritage Council. May 16, 1970.